You know that speechlessness that takes over your brain when someone asks you what your favorite herb is? That, "Umm, how could I possibly ever choose one? I have no idea how to answer that question!" So you scramble to think of one that you like more than the others and about a dozen different plants pop into your head and you're still standing there like, "Hmmmm...uh..." Yeah, I know the feeling. There is one plant, though, that I don't talk about nearly enough that is definitely in my top 10 favorites list and it's St. John's Wort (Hypericum perforatum). Those of you who live where St. John's Wort grows abundantly might not believe this, but when we lived in California, I never saw living St. John's Wort plants. We lived in such a densely populated, concrete-covered, manicured area that weedy species were actually hard to find and I never came across Hypericum, even when I was out in the wilderness areas! St. John's Wort is also on the noxious weed list there, so I couldn't really grow it myself and seed companies wouldn't even ship seed to California. I would always order in freshly harvested St. John's Wort when it was in season and have it shipped overnight to me so I could still work with it in my apothecary. When we moved to the PNW - a place where St. John's Wort grows abundantly alongside the roads - I was ecstatic. 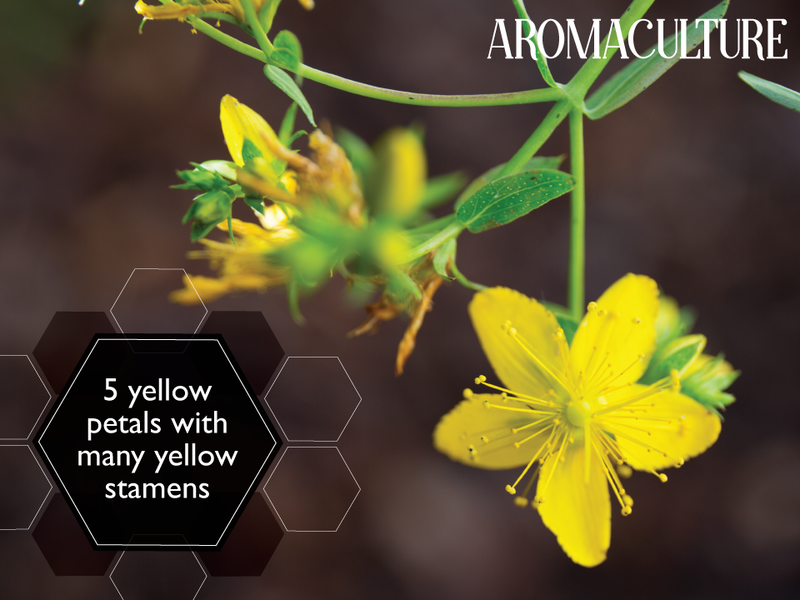 I thought I'd share part of the St. John's Wort lesson from the Herbal Aromatherapy™ Level One course with you today because it's the perfect time for you to find and work with this plant! It's in full bloom here in the PNW and in other places around the country, so if it grows where you live, chances are that you'll be able to find it right now or very soon. St. John's Wort is an herbaceous perennial that likes to grow in poor soils that have been disturbed. Because of this, you'll often see it growing on the side of the road where the soil is rocky or packed down, on the side of a cliff, especially one that has been cut away to make room for a road, or in a field that's been sitting fallow. While it does grow in these poor conditions, it'll also do nicely in cultivation and it makes a beautiful garden plant. It likes sunny areas but can also grow in partial shade, especially when you see it up in the mountainous regions. I usually see it growing between 12" (younger plants) and 24-30" in the wild, but it can grow taller in better soil, and while I might see a plant on its own here and there, it tends to grow in clumps. It starts flowering in most areas in June, but you may be able to find flowers throughout the summer as well. The flowers grow in clusters at the end of the upright stems. They have five bright yellow petals with many yellow stamens and the petals have little black dots near their edges. The photo below shows the flower and the "perforated" leaves, but please note that it doesn't well represent the upright stems, since the plant in this photo was leaning over a little bit. Normally when you find this plant, it'll be reaching up toward the sky, tall and cheery. St. John's Wort has branching stems with opposite, oblong leaves that feel smooth and have smooth, non-toothy edges. Usually the flowers are found on the top half of the plant and the bottom half has leaves and stems. It can be a little leggy looking, since it grows tall instead of being bushy or wide. When you find it in clumps, it'll look a lot fuller. There are different varieties of Hypericum. To tell if you have H. perforatum, hold a leaf up to the sunlight. If it's H. perforatum, you'll be able to see the little holes from which it gets part of its name - perforatum. You can see what they look like in the photo below. Memory Tip: "Perforated" leaves = H. perforatum. You can find further photos and descriptors to use for identifying purposes here. If you're able to grow St. John's Wort in your garden, it can be easily started from seed in late fall or early spring. Sow the seeds on the surface of the soil, water in, and then keep the soil moist and in a partially sunny area until the seeds sprout. They need light to germinate, so it's best not to keep them on a shelf below another shelf or hidden away in a dark space. Once the plants are old enough, you can plant them out into the garden in well-draining soil with full sun. They will flower for you in the second year. Because St. John's Wort does well in poor soils, it can be grown in almost any garden (add a bit of sand and organic matter to heavy clay soils to improve its texture) and doesn't need much fuss. It does seem to like a little bit of liquid seaweed concentrate now and again, but it would probably do just as well if allowed to do its own thing. When harvesting St. John's Wort for medicinal purposes, there is a specific time frame during which the plant is at its prime. To see if your plants are ready to be harvested, roll one of the buds between your thumb and forefinger. 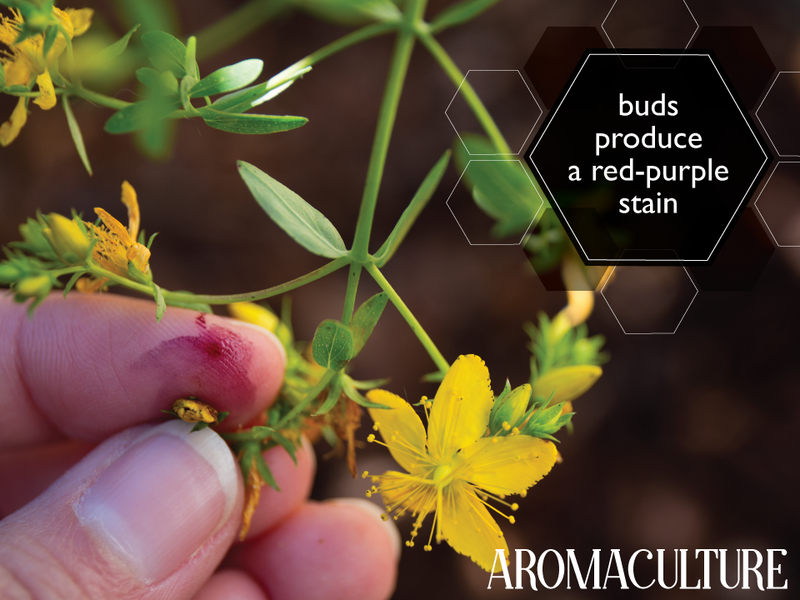 If the bud leaves a reddish-purple stain on your finger (see the photo below), then the plant is ready to be harvested. If the plant has buds, but they do not produce a stain, you're a bit too early to harvest. Check back daily and harvest when you see this stain on your fingers. If the plant has open flowers or petal-less flowers and does not produce a stain, you're a little bit too late to harvest in that particular area. Check nearby plants to see if there are others that are ready or head to a higher elevation to find plants that are just coming into their prime harvesting stage. Most people will tell you to harvest the top 4-6" of the plant when harvesting St. John's Wort. I tend to be a little bit more conservative because the bees love this plant so much and I want to make sure that there are plenty of flowers leftover for both the pollinators and for the plant to produce seed. I'll harvest the top 4-6" from the main stem only, not the branching stems, being sure to leave the flowers on the branching stems behind. I also like to harvest no more than 1 in 7 plants (it's usually more like 1 in 12+) so that when I leave, it doesn't look like I've harvested anything at all. 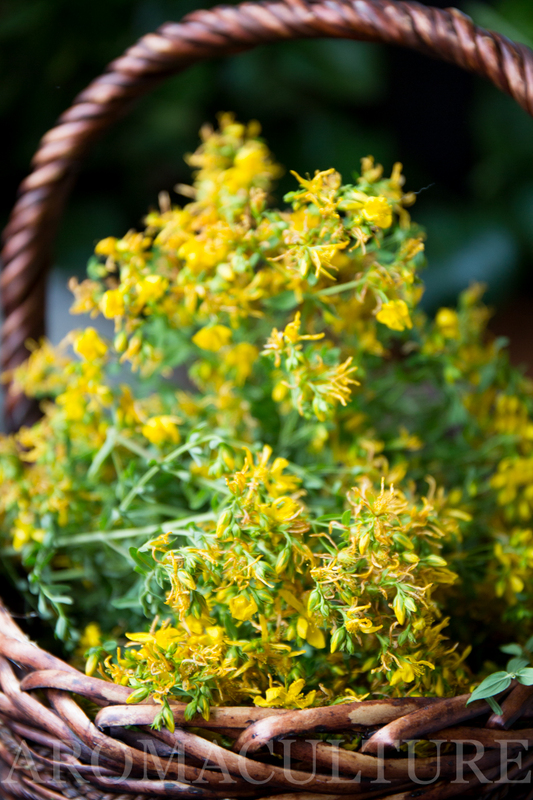 If you're going to dry your freshly harvested St. John's Wort, spread it out in a single layer on a screen or drying rack and allow to dry out of the sunlight until the leaves, flowers and stems are crispy. You can leave the flowers and leaves on the stems or strip them from the stem and store in an airtight jar away from light and heat. My full guide to making herb-infused oils can be found here. When making St. John's Wort infused oil, it's traditional to use olive oil as the base, but you can use any fatty carrier oil that you like. I prefer Sunflower seed oil (organic, unrefined) because it has a lighter texture and because I think the energetic pairing of the sunny St. John's Wort with the sunflower is perfectly complementary. After your freshly harvested St. John's Wort has wilted (out of the sunlight) for a couple of hours and all of the little hitchhiking critters have made their escape, strip the flowers and leaves from the stems. Fill your jar about 2/3 full with the flowers and leaves, then pour your carrier oil of choice over the plant material until it's completely covered. The plants will spread out a bit in the oil and make your jar look even more full. 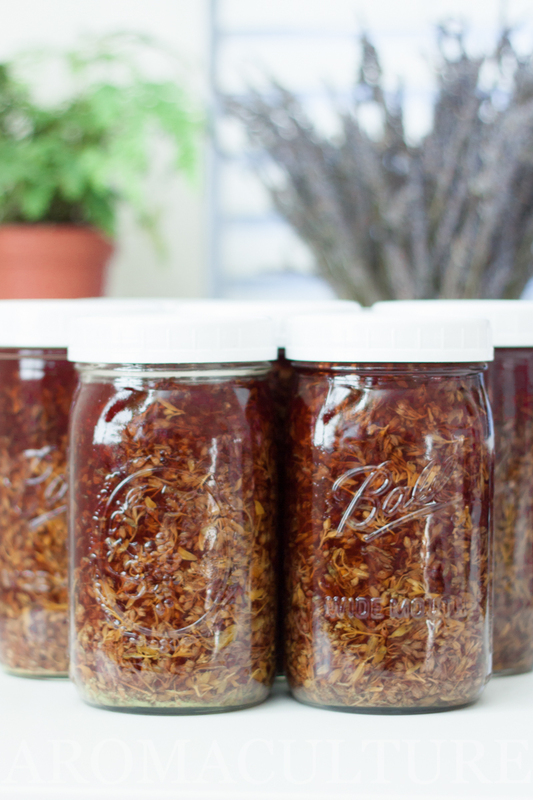 Secure the jar's lid and leave the jar in a sunny windowsill or a sheltered spot in the garden to infuse for 4-6 weeks. Keep an eye on it and check it often to make sure no mold is forming and, if you do see mold, use a sterile spoon to scoop it out of the jar before recapping. Wilting your plant material beforehand helps prevent mold from forming. Note: Do not wash your St. John's Wort prior to infusing it in the oil. This is a sure way to spoil the entire batch. Harvest from a clean area away from pollution and such so that rinsing it is unnecessary. As the oil infuses, the hypericin in the St. John's Wort will be extracted into the oil and will turn the oil a deep red color. It's quite fascinating, really! 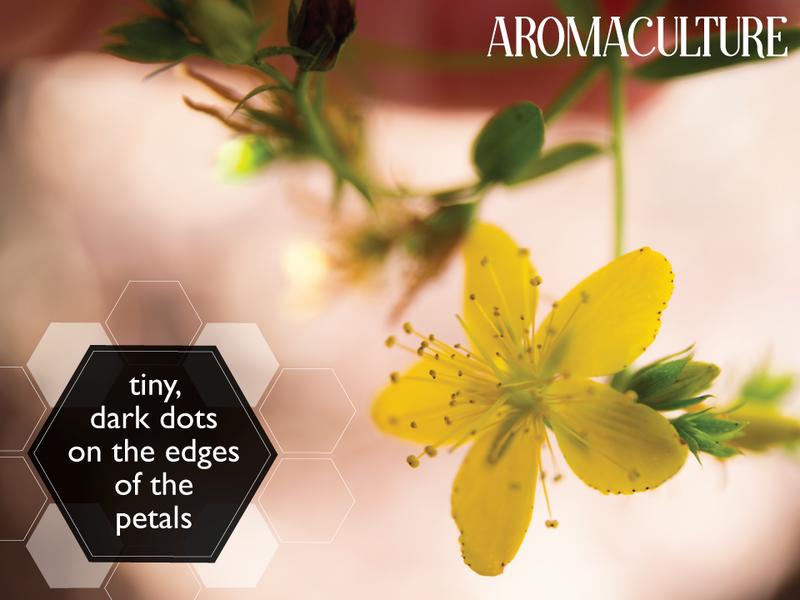 Have you ever had a cup of St. John's Wort tea made from the fresh flowers? If so, you'll recognize the color. Strain completely and store in airtight jars away from light and heat. Storage in the fridge will prolong the oil's shelf life. St. John's Wort infused oil makes a wonderful base oil for massage oils, aromatherapy oils, salves, balms, ointments, lotions and creams, and other oil-based applications. 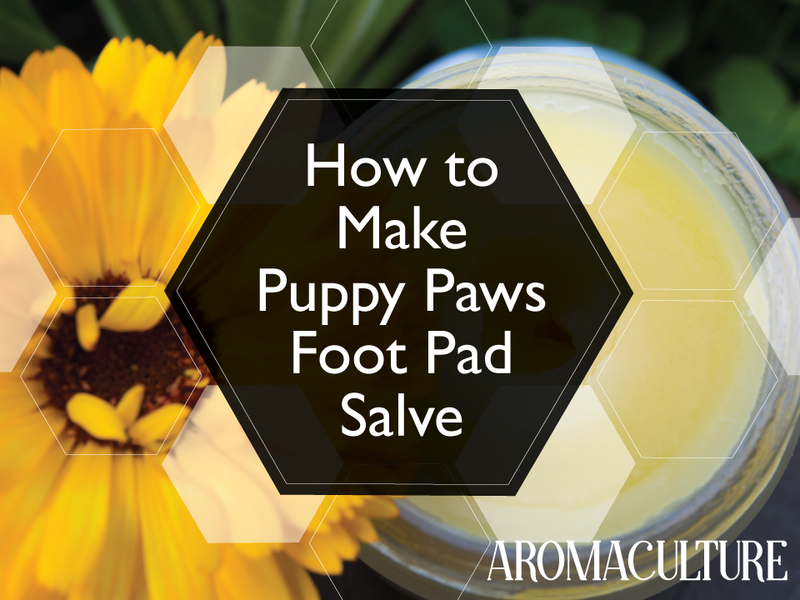 It has analgesic (pain-relieving) and anti-inflammatory effects, so lends itself well to formulas meant to help relieve pain and reduce swelling. It's also exceptional (and has been traditionally used) for soothing nerve-related pain. I once sat down to work with a large batch of St. John's Wort and when I began, I was in quite a bit of pain. By the time I was finished, I had no pain to speak of and the pain didn't come back! Just being around St. John's Wort now feels therapeutic for me. Here's a photo of a finished batch of infused oil from a couple of years ago. I'll update in a few weeks with a fresh pic from my current batch once it's finished. St. John's Wort is one of my favorite plants to distill at home because it's so generous in its yields and the hydrosol and essential oil are both quite lovely. With my stovetop still (click here for a behind-the-scenes look into the process of using it), I can get about a quart of hydrosol and a little bit of essential oil in about 45 minutes - enough to make several batches of lotions and creams, facial toners, etc. that will last me for most of the year! When distilling St. John's Wort with a smaller, at-home still, I like to distill via a combined hydro-distillation and steam distillation approach. I've found that this helps me to increase my yield a little bit. It's always a joy to be able to get that little bit of essential oil from even the smallest amount of plant material and, of course, the hydrosol is worth the distillation alone. The hydrosol smells lovely - a little bit buttery and green with a hint of pungent spice and the essential oil has a sweetness to it that is just wonderful. It contributes its antimicrobial, antispasmodic, and anti-inflammatory effects to products that include it as an ingredient. St. John's Wort hydrosol contains a constituent called Terpinen-4-ol, which is also one of the main components found in Tea Tree and Marjoram essential oils. Terpinen-4-ol has demonstrated antibacterial and antitumoral effects in scientific research and is also found in smaller amounts in Lavender (angustifolia) essential oil and Juniper berry essential oil. I find St. John's Wort essential oil to be both emotionally and physically centering. It helps to balance the pain response to both physical and emotional stimuli and bring us back into a state of existing harmoniously with different causes of pain. It feels sunny and uplifting energetically, like an encouraging friend who says just the right thing in just the right moment to help us feel better about life. While it may not remove every ounce of pain from how we're feeling, physically or emotionally, it helps to soften the way we feel about the pain and thus, to relieve it in an interesting way. It doesn't deaden, but rather lifts the spirit away from it a little bit so we can handle the pain better, relax the tension we feel from holding on to it, and perhaps even let go of it. That said, St. John's Wort essential oil does have a pronounced anti-inflammatory and analgesic effect on the physical body, so it's commonly employed for painful, swollen issues of the body, skin, and mind. I've also found it useful when working with people who are prone to feeling like they're at their wit's end; the type with frazzled nerves from being overworked and under-rested - if you add just one more thing to their plate, they're going to drop everything on the floor. It's also helpful for the kind of person who has so many things going on at once that they're starting to become a little bit numb to it all; one too many distractions; one too many painful experiences; one too many things that feel like little needles constantly jabbing holes into their mental and emotional health. The herb itself is known for its ability to help repair our physical nerves, so it makes sense that the essential oil would have this kind of emotional effect. St. John's Wort essential oil contains alpha-pinene which is helpful for both the skin and the respiratory and immune systems. Beta-caryophyllene is another of its main constituents. It's known for its ability to support the skin and our pain response, but especially for its unique ability to bind to our CB2 receptors, which help us to maintain normal immune and nervous system functions. Balsam Copaiba (Copaifera officinalis) is one of the oft-studied essential oils that is also known for its rich beta-caryophyllene content. The physical effects of St. John's Wort on our body help us to better understand the effects it has on our emotional being. Physically, it supports the skin, immune, respiratory and nervous systems, and our pain response. Emotionally, it strengthens our response to external stimuli, allowing us to breathe through different circumstances whilst building our resiliency and maintaining our center. It helps strengthen our protective barriers and fill in the cracks where the barrier has been compromised whilst still allowing light to shine through those cracks. It helps us to keep our head up, focused on the good things so we can better deal with the hard things. 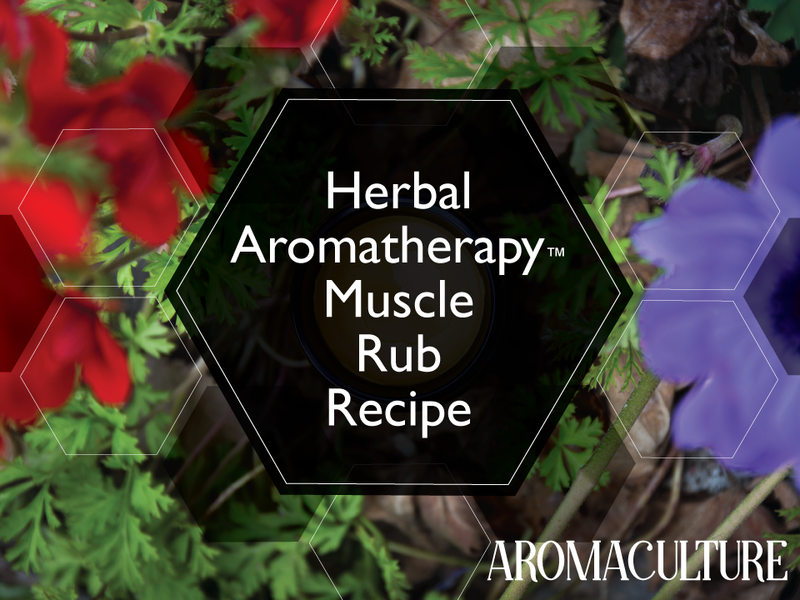 It's a great ally in the Herbal Aromatherapist's™ toolbox! Imagine that you have so many things going on that you're starting to lose your focus and you can feel your energy seeping away from you. You're feeling less inspired and you don't have any time to focus on things that fuel your creativity because everything else is constantly demanding your attention. You're feeling frazzled at home because you don't have time to take care of everything you need to. You're feeling like you're under-performing at work because you just don't have the mental energy to invest in it. And then something awful happens. You get sick or you suffer a loss or something else occurs that just completely leaves you feeling like you can't deal with all of the things anymore. You just want to sit on the couch in last night's pajamas with a warm blanket and some fuzzy socks so you can binge-watch your favorite show on Netflix whilst eating all of the chocolate ice cream you have in the freezer. And in that moment, one of your best friends calls and talks to you about the situation and, after hearing about everything that's going on, she comes over to help you. She watches a movie with you, then tells you to go take a shower and get dressed. She works alongside you to get the house clean, takes you out for lunch and shopping for a new outfit, and then watches the kids for you so you and your spouse can go have a weekend away from everything to recharge. You come home feeling like you've had a mental reset - like you know exactly what you can let go of in order to make sure that you don't reach this place again and you also feel better equipped to handle all of the other things you have going on in your life. Your friend sticks by you, checking in on you and making sure you're staying in the right head-space, keeping a positive outlook on things, and constantly adjusting where you need to so that you don't end up feeling the same way again. As a result, you're better able to keep a positive attitude yourself; you're able to invest in the things that are important to you again and let go of the things that no longer matter as much, all the while feeling like you've been able to find your center so you can take on the world each day as a strong, energetic, cheerful powerhouse. This is how St. John's Wort works on the emotional plane. It's the cheery, encouraging best friend that meets you where you are and then helps you to focus on the important things, let go of the things that you don't need to be holding on to, and keep walking forward with a greater amount of fortitude and resilience than before you met up on the trail. As far as using the herb goes, St. John's Wort definitely has a reputation for uplifting the spirits! Much of its publicity over the past 20 years or so has focused on its antidepressant effects. Whilst it can have a pronounced impact on people who are feeling like they need a little boost of emotional support, it's always a good idea to speak with your doctor if you suspect a deeper issue or if you already know that you suffer from chronic depression. 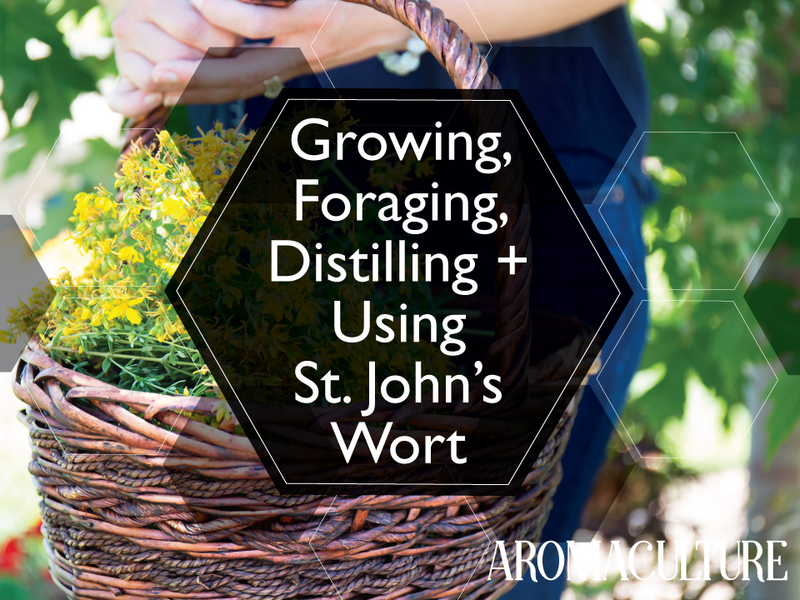 St. John's Wort is traditionally used to help repair damaged nerves and can be used externally via compress, soak, or infused oil to massage into areas where you're experiencing nerve pain. Since it has antispasmodic and analgesic effects as well, all of these applications can also be employed for muscle and joint aches and pains too. Note: We'll go into more detail about the specific uses of this herb inside the course module. St. John's Wort can interact with several different kinds of medications, so please consult your favorite botanical safety reference guides and speak to your doctor before taking St. John's Wort if you are currently on medication. Using the herb topically is considered safe, however. have you ever worked with st. john's wort? I'd love to hear about your experience with this special herb! Tell me what you think about it or how you like to use it in the comments section below. If you'd like to be notified when our course opens for enrollment so you can learn even more about St. John's Wort (and other herbs) and how to use it effectively, click here. If I made a list of the top 10 herbs I use the most in my apothecary and in the kitchen, Calendula would be right there near the top of the list. Her sunny little blooms fill the garden with vibrant cheer and I love working with her for both topical and internal applications. The fresh petals have a peppery taste that is delicious in baked goods and fresh salads, sprinkled in mashed potatoes, pressed into butter, and tossed with roasted veggies. The dried blooms are continuously infused into new batches of carrier oil in my apothecary for use in skin care blends and medicinal salves. I’m distilling a lot of Calendula this year so I can use the hydrosol more because it’s lovely as well. The flowers are a staple in my herbal foot bath blends and teas. This versatile plant is so easy to grow yourself, so I highly encourage you to plant out a few packets of seed if you haven’t added it to your garden yet. I'm right in the middle of a Calendula trial right now, so Calendula is definitely at the forefront of my mind. I'm testing over 30 different varieties for vigor, floriferousness (not a word), and medicinal quality for a project that I'm working on, so I'm definitely knee deep in working with this pretty little plant. It's truly one of the most used in my apothecary! Calendula is grown as a hardy annual in most growing zones and as a perennial in a couple of the warmest zones. Back in southern California, I could definitely grow it as a perennial, but even here in the PNW, it kept right on blooming through the frosts and the snow we had over the winter. I've heard reports of it not overwintering well in areas that get a lot more snow (and much colder temps) than we do, but the plants that I left in the ground last fall kept right on flowering and are still going while my new seed-grown batch is just starting to produce more heavily! Calendula loves to be grown in full sun and will produce the highest yields when planted in the brightest areas of your garden. Well-drained soil is a plus and it seems to thrive when I add lots of compost to the soil before planting and a layer of mulch just after transplanting. Plant your seeds in seed boxes or propagation trays, covering them with about ¼” of soil and water in well. You can direct sow the seeds, but planting them up in trays first will give you a head start on the growing season so you can start harvesting blooms sooner. It also gives you an opportunity to provide an early food source for the pollinators, which love this plant. Mine are consistently visited by at least 7 different kinds of bees, among other things. Once your plants have well developed root systems and are ready to be planted out, you can space them about a foot apart throughout the garden. I’ve found that dedicated Calendula beds are strikingly beautiful, but I also plant them throughout my vegetable beds in between plants to draw pollinators to the food plants. If it will overwinter in your area, consider giving the plants even more room in their beds because they'll grow to be quite a bit larger than plants grown as annuals and will need more space. 16-18" would be good. Once flowers start opening, you’ll want to harvest at least every 2 to 3 days, but I’ve found myself harvesting daily during its peak blooming time. Pick the flowers the day they are fully open and leave a few for the bees, but make sure that you deadhead the flowers you leave behind before they go to seed to keep your plants happily producing throughout the season. I like to pull or snip the flower heads right off into my gathering tray and then come back through and trim the stems down on the plant later. Your hands will get sticky from the resins in the involucre of the flower heads (the green bracts on the bottom of the flower head). Most of the time, the sticky residue will wash right off with soap and water once you're finished harvesting, but you can also use a little bit of olive oil (or any fatty oil) if necessary for stubborn bits. Calendula flowers are best dried in a single layer on screens in a warm area away from direct sun with excellent air flow. The blooms are thick (the flower centers, especially), so it’s important to make sure that all of the moisture is gone out of the blossoms before storing them. Make sure you check the flowers after about a week of drying time and if there is any moisture left in the center of the blooms, let them dry longer. Some folks like to use fans in their drying room when they process their Calendula to help speed the process along, but for home-sized batches, I haven’t needed them. If you’re in a humid area, though, fans might be a good idea. Where I live, Calendula may even take 2-3 weeks to dry completely in the center, so be patient. 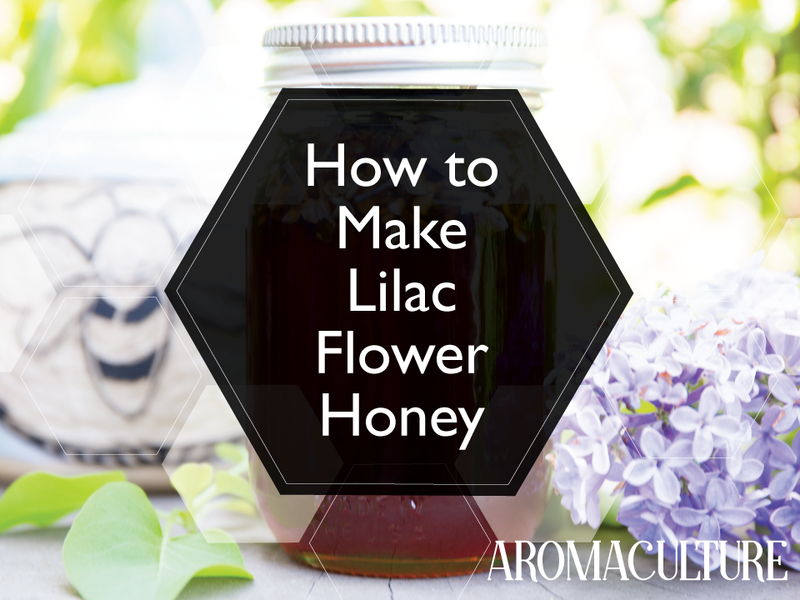 It's better to wait to get them in your jars than to spoil a whole batch because of leftover moisture in some of the blooms. Calendula is especially suited to applications for the skin (it's full of skin-healing and skin-protective compounds), mucous membranes, and the digestive tract, so keep that in mind when formulating with it. You can read more about making herbal oils with Calendula flower heads here and I also have a post about some of my favorite ways to use Calendula here. Once you start growing Calendula, you’ll probably find yourself planting increasingly more of it each year. It’s such an irresistible and usable plant! How about you? Do you grow Calendula? This article is an excerpt from my course about using herbs and herbal products, including essential oils, in the home or professional apothecary. If you'd like to be notified when the course next opens for enrollment, please sign up for my email newsletter at the end of this post. This is my favorite way to make herbal oils. It takes time and patience, but the result is such a beautiful, happy infused oil (and I'm able to use more delicate and lightweight carriers) that I really prefer it to the quicker methods. To make an infused oil this way, you would fill a sterilized glass vessel 1/2 to 2/3 of the way with the herb of your choice, then pour your carrier oil of choice (more on carriers further down in the article) over the plant material until it's completely covered, with an inch or so of extra oil to top it off. The herbs will often move around in the oil or float to the surface of the oil. This is fine. Use a chopstick to move through the herbs to release any air bubbles and top off the jar with more carrier oil if needed. Secure the lid of the jar (standard lids are better than plastic; the plastic lids will leak when making herbal oils) and allow the herbs to infuse in the carrier oil for 4 to 6 weeks. Many herbalists will turn the jar upside down every day or two or give it a little shake, but I've found that it's not necessary and can tend to make more of a mess than anything. Once your oil has infused for 4 to 6 weeks, you can strain the herbs out of the oil through a couple layers of cheesecloth and a fine mesh sieve, making sure to squeeze all of the extra oil out of the fabric when you're finished pouring the oil through it. Store the infused oil in a sterilized glass jar with a pretty label containing the name of the carrier oil you used and its expiration date, along with the herb(s) you used and the date you harvested them (or the date they were harvested by the person from whom you purchased them), and the date you strained the oil. A crockpot / slow cooker can also be used to make herbal infused oils. This method is often employed when the herbal oil is going to be needed sooner than 4 to 6 weeks, but not necessarily that very day, or when the herb is especially resinous and might need a little bit of heat to efficiently extract the resinous compounds. When using the crockpot method, I recommend choosing a carrier oil that does well when exposed to higher temperatures, such as avocado or coconut oil. Place your herb(s) into a clean slow cooker and cover them with the carrier oil. Set the heat to the lowest setting and leave uncovered, stirring occasionally. You don't want the slow cooker to become hot enough to cook the herbs into the oil, but you do want it to be warm enough to infuse the oil with all that herbal goodness fairly quickly. Some herbs will only take a couple of hours to infuse this way, while others may take one, two, or even three days. Keep an eye on the oil and check it often. As soon as the oil looks and / or smells like it's finished (the color might change; the oil will take on the aroma of aromatic herbs; etc. ), turn off the heat and allow the oil to cool completely before handling. Tip: You can use the "It Takes Time" method to infuse your herbal oil, then after the 4 to 6 week infusion period, you can finish off the oil with an hour or two in a slow cooker (at a low temp) to better extract resinous compounds from resinous herbs. Once the oil has cooled, strain and store it as described above. Sometimes you just need an herbal oil right away and even if you prefer to take your time when making them, you might need to make do with what you have available in the moment. In such circumstances, there are often alternatives to herbal oils - could you use a poultice, compress or soak instead or in the meantime? When an herbal oil is the solution, however, you can use this stove-top method to make a quick herbal infused oil. Set up a double boiler over low heat. Your herbs and carrier oil (use one that will tolerate higher temperatures well) will be placed in the part of the double boiler that does not come into contact with your heat source. Make sure the herbs are covered with the carrier oil. This method may take 30 minutes to a couple of hours and since you're working with oil, you'll want to make sure to stay nearby where you can keep an eye on it. You don't want the oil to become so hot that the herbs start cooking and you need to make sure the water in the double boiler does not run dry. Once you feel that your oil is ready, turn off the heat and allow the oil to cool completely before straining and storing as described above. I don't personally recommend using the stove-top method regularly. It's best suited for those moments when you really need a specific oil on that day, but you've just run out of your last batch and haven't had time to start a new one yet. In most such cases, though, you'll be able to substitute with a different application method using the same herb, as I mentioned earlier. This method works in a pinch, but yields an inferior (though usable) product. Others may disagree, but my preference is to use the "It Takes Time" method whenever possible; the "Low and Slow" method when I need something right away; and the "I Need It Now" method only when absolutely necessary (and I've very rarely found it absolutely necessary). Double and triple herbal oils can be made using any of the above-mentioned methods. To make a double or triple infused oil, you would strain out your initial batch of herbs as described, then pour that same batch of oil over a fresh batch of the same herb and then allow that second batch of herbs to infuse in the oil as you did with the first batch. The process can be repeated again a third time to make a triple infused oil. Such infused oils are stronger and more potent than once-infused oils and are often preferred for first aid applications and some skin care remedies / formulas or when an aromatic herb is being used and the formulator wants the infused oil to smell strongly of the herb being used. I'm often asked if it's better to infuse herbs into oil singly or in pre-combined blends (i.e. Lavender and Calendula infusing in the same carrier oil in the same jar at the same time). Honestly, it doesn't make much difference. The best choice is the method that will work best for you. I prefer to infuse my herbal oils individually and mix them later so I have more options when it comes to formulating, but if you have limited space, you may prefer to infuse oils with a combination of herbs at one time. There are one or two blends that I do infuse all together and I believe a nice synergy can be achieved this way, but I think intention makes more of a difference in such cases than does infusing the herbs on their own or together. Try infusing your oils both ways and go with the method that you enjoy most. Most other plants, however, are best infused into oil with dried plant material. Using freshly dried herbs will keep your herbal oil from developing mold and spoiling. If you're working with fairly "dainty" herbs (think lightweight, thin leaves and flowers), you can choose to infuse them fresh, but you'll want to let them wilt in a shady spot for a few hours (up to overnight) before placing them into the oil. Never place freshly washed herbs with residual moisture on them or herbs fresh with dew into a carrier oil. Thicker plants like Calendula flower heads or Dandelions shouldn't really be infused into oil fresh, since they hold so much moisture in their inner bits that you'll rarely be able to achieve a finished oil without it spoiling. It's best to allow them to dry completely before infusing. The plant part used to make an herbal infused oil depends on the plant you're using. Usually, the plant part(s) that you would use to make an herbal tea, compress, poultice, or essential oil is the part that you'll use when making an herbal oil. The main thing you're after is the plant part that has the constituents / therapeutic effects that are particularly beneficial for the skin. I'm often asked which carrier oil one should use when making herbal infused oils. Extra virgin olive oil has traditionally been used for salves in the herbalism field, but it's quite heavy and does have a very distinct scent which might not be desirable in your finished product. Overall, any carrier oil can be used to make an herbal infused oil. Personally, I tend to choose a carrier oil that has similar therapeutic properties to the herb that I'm going to be pairing with it and one that I like to use on my own skin. I look for carrier oils that are organic, fair trade (as local as possible), cold pressed, virgin and unrefined. I don't like to use processed / refined oils in my recipes. The main thing to avoid is mineral oil, which isn't a carrier oil at all; it's a petroleum-based product. While it's true that sunlight can contribute to oxidation, many traditional and folk herbalists swear by letting their herbal oils infuse in sunlight. St. John's Wort oil is still one of the main herbal oils that is allowed to infuse in the sunlight of bright windowsills around the world. Yet other herbalists insist that herbal oils be sequestered in a dark cabinet and kept away from the light whilst infusing. Which way is better? The way that feels best to you. If you want to infuse your oils in a dark cabinet, go for it. (I especially recommend this when infusing with carriers that tend to have shorter shelf lives or need refrigeration.) If you want to infuse your oils in the sunlight or the moonlight, go for it. I really think it's a matter of personal preference. You will want to store your finished and strained herbal oils away from sunlight, however. Herbal oils that are made with dried plants can be infused indefinitely, though the standard time is 4 to 6 weeks. The main thing to be aware of is the shelf life of your herbal oil. Oils that are infused longer than 4 to 6 weeks won't necessarily be any better or more potent than oils that are infused for 6 weeks, however, because most of the constituents will already be in the oil by that time. There are a number of ways you can enhance the subtle effects of your herbal infused oils, but two of my favorites are to infuse them alongside the moon's natural waxing and waning cycle and to nestle the jars in with crystals and minerals. While not appealing to everyone, I find that these two things can really be lovely complements. Personally, I like to start my herbal oils on the day of the new moon and strain them on the following full moon, which is usually about 6 weeks later, when nature's energy is the most potent and lively. Some of my favorite stones to use when making infused oils are rose quartz, black tourmaline, amethyst and selenite. The rose quartz brings a vibration of love and an open heart, whilst the black tourmaline and selenite are protective against negative energy and EMF influences (I still recommend keeping your apothecary items away from wifi and electronics, however), and the amethyst is a well-loved all-around healing stone. As a person of faith, I also like to pray over my herbal oils as they're infusing and thank the Creator for providing the plants whilst asking for the finished product to be blessed for the healing of those who will need it. Once you have an herbal infused oil that's been strained, there are many ways you could use it. Herbal oils can be used alone, without having to be altered or added to anything else. If you want to use them on their own, I recommend applying them when you're fresh out of the shower after toweling dry or after washing and drying your hands. Applying herbal oils to freshly washed skin helps them to soak in quickly and will prevent them from leaving an oily, persistent residue on your skin. It's best to wait until the oil has completely soaked into your skin before putting on clothing items to avoid staining them. Herbal infused oils make lovely bases for massage oils and can be used on their own or combined with other carrier oils and / or essential oils. Herbal oils can also be used in recipes for salves, balms, ointments, creams, lotions, and butters wherever a carrier oil is called for as an ingredient. This is one of my favorite ways to layer the therapeutic effects of my ingredients into a product. For example, instead of just using olive oil in a salve that calls for it, use olive oil that's been infused with Calendula, Plantain leaf (Plantago sp. ), and Lavender buds to add an extra layer of therapeutic benefits to your finished salve. which method(s) DO YOU (or would you) LIKE TO INFUSE YOUR OWN HERBAL OILS? I'D LOVE TO HEAR ABOUT YOUR OWN PROCESS IN THE COMMENTS BELOW! Would you believe that, when we lived in southern California, I rarely saw a Dandelion? We lived in such a pesticide-laden area that whenever we did see a Dandelion, we would cheer it on and congratulate it for blooming. Our area was so manicured that “weeds” were a rare sight. Many communities are now seeing the incredible value offered to us by the Dandelion and are encouraging people to let them grow, which is great because they tend to grow where they are most needed. I’m hoping this mindset keeps spreading because we still have a long way to go to improve our collective mindset toward this plant (and others that are considered weeds). Dandelions are helpful for us in many ways, but they are also a very important first food for the bees and we all need to be doing our part to help our bees. So, I challenge you to let your Dandelions grow. In other countries, Dandelions are purposely planted in protected areas of the garden because they are so valued! Every part of the Dandelion plant is edible and useful for medicine. The roots and leaves are used as digestive bitters to help stimulate digestive enzymes and improve digestion. They are both mineral rich and the roots also contain inulin, an important prebiotic substance that helps feed our beneficial gut flora. The leaves are diuretic. The flower heads are also rich in vitamins and have been used as an analgesic (pain reliever) and, overall, the plant has been traditionally used for all kinds of skin and digestive system complaints. Today we’re going to focus on the flowers. Note: When you’re harvesting Dandelions, make sure you’re harvesting them from a clean area where they haven’t been sprayed. Infused Carrier Oil and salves, creams, etc. Allow the flower heads to wilt in a shady area for at least a couple of hours (up to a day or two) before infusing to allow some of the moisture to evaporate from the flowers. Fill 2/3 of a jar with the flower heads, then pour your carrier oil of choice over them until they’re covered by about an inch or so of oil. Allow the oil to infuse for 4-6 weeks, then strain out the flowers heads. This infused carrier oil can be incorporated into massage oils and other oil-based blends (salves, creams, balms, etc.) for skin complaints/inflammation and pain. Dandelion vinegar is wonderful in homemade vinaigrette recipes. You can also infuse it in raw apple cider vinegar and use it alone as a drinking vinegar, in herbal shrubs, or as a mild, pre-dinner digestive stimulant. Give it a try! Dandelion flowers can be coated in batter and skillet-fried or baked to make tasty little fritters! They’re crispy and yummy and oh so good. Spread it on some sourdough toast with some dried Dandelion petals (florets) for a flavorful treat. Dandelion flower syrup makes a tasty addition to your breakfast pastry or pancakes and can also be used to flavor drinks and drizzled on shortbread cookies. The petals of the flowers can be added to your baking mix when you’re making cookies or pancakes. They’ll contribute a bit of color to the recipe and can also be used to decorate the tops! Use a butter spreader to fold Dandelion flower petals (florets) into some room temperature butter, then stir in just a bit of raw honey. Store the butter in the fridge and use it on your biscuits! Do you have a favorite Dandelion recipe? Tell me about it in the comments section below! When I first joined Instagram (after much coercing on the part of friends and family who knew I would love all the pretty photos despite my aversion to social media), all the herbalists were posting about their Violet flower harvests and sharing their pretty recipes with the world. I was living in a 3rd story studio apartment in the middle of a concrete jungle at the time and had wanted to work with Violets but had never seen Violets growing in my area. My little balcony garden was full, so I couldn’t grow them then, but I knew that at some point, I was going to plant those sweet little blooms. They were the first plant I started looking for when we moved to the PNW last year. We hadn’t even pulled into our new hometown or seen our new home yet when I started telling Jon we needed to go scout out a few Violet patches in the wooded areas around us. Since then, it seems that I scatter Violet seed throughout my garden beds at least twice a year. I think it’s safe to say that I want Violets everywhere. If you like them too, here are a few ideas for ways to use them. 1 - Make a Violet flower shrub. I shared the recipe for this shrub on the blog a couple weeks ago. We like to use shrubs in homemade salad dressings, but you can also add them to orange juice or grape juice, Ginger ale, popsicle recipes, etc. They’re super yummy! Syrups are so simple to make and this version, made with sweet Violet flowers, looks so lovely that it would make a beautiful gift too! You can use it to dress baked goods, drizzle a bit on toast, or add it to drinks. Bonus: It looks so pretty while the violet flowers are infusing! See the photo below. 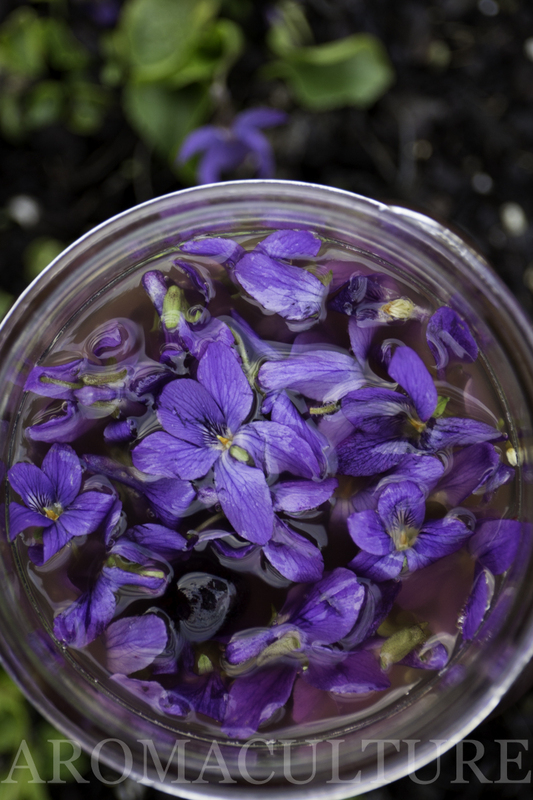 Infuse sugar with Violet flowers to add a touch of lovely flavor and color. The sugar can then be used to dress sweet recipes or in sugar scrub recipes that could use a dash of color. The sugar also holds the aroma of the Violets, so if its one of your favorites (it's one of mine! ), you'll love the way the sugar smells! Both Violet flowers and leaves can be infused into carrier oils to make a useful breast massage serum that helps support breast and lymphatic health. It’s a great daily-use product for women! They’re gorgeous in salads, on top of shortbread cookies, as edible decoration on fancy desserts…and they taste great! Candying the flowers preserves them so they can be stored for a couple of months and used as pretty garnishes for your favorite dishes (if they last long enough!). Press a few Violets and Violet leaves. They can be used to decorate stationery, baked goods or keepsake boxes or added to your herbarium. 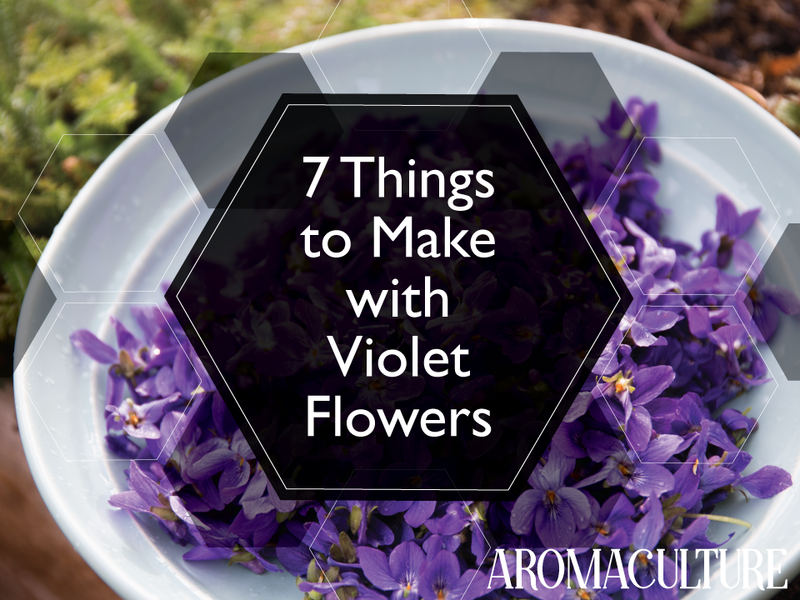 What are you making with Violets this year?